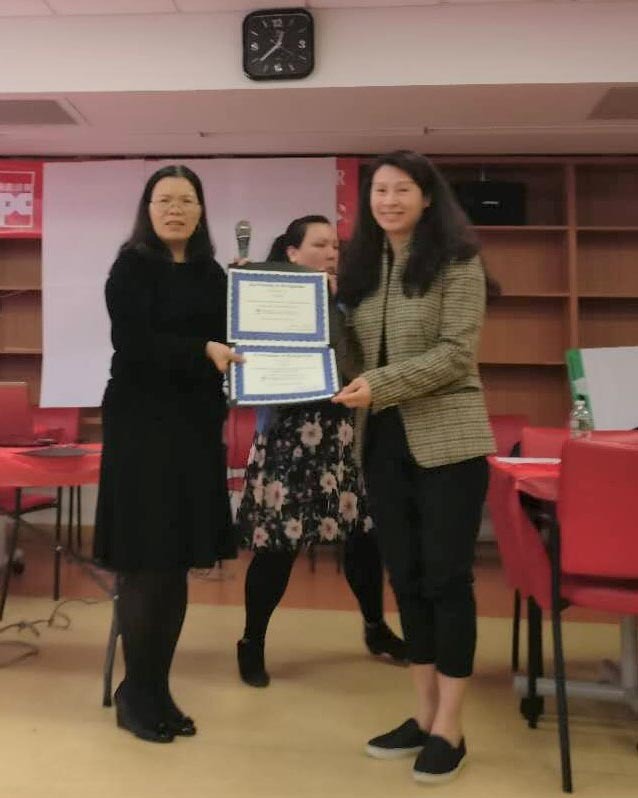 On March 30th, CPC’s Asian Child Care Resource and Referral (ACCR) held a fun-filled and informative luncheon and awards ceremony for the appreciation of family child care & early childhood champions at CPC’s Queens Community Center. A total of 53 licensed family child care (FCC) providers attended the event. Of the 53 providers, 27 were Chinese-speaking and 26 were Korean-speaking, marking the first of our efforts to broaden the scope of our reach to include more Korean-American community members. During the event, ACCR Director Sumon Chin, Program Manager Ben Deng, and Health Care Consultant Linda Wu held an informational session on the transition of FCC networks to the Department of Education, what it means for providers, and the opportunities of and the myths surrounding the DOE’s 3K for All and UPre-K Request for Proposals. An additional informational session was held to discuss ACCR’s bold undertaking of translating the course books and materials into Chinese, its intent to launch the first ever 120-hour CDA course in Chinese, and the benefits of having the CDA credential. Jessica Chen, Provider Service Coordinator, Kevin Tam, Training Coordinator, Susan Chen, Provider Specialist, and Max Servetas, Community Coordinator, raffled off many prizes to attendees. 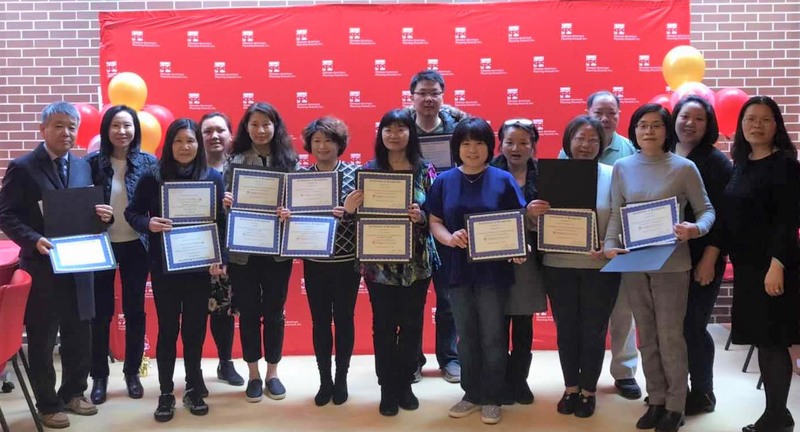 ACCR Director Sumon Chin presented Certificates of Recognition to 10 FCC providers in recognition of their achievements and commitments to the quality of early child care service. ACCR’s plan was also outlined at the event for attendees, which include a plan to station ACCR staff at CPC’s Queens Community Center on future Tuesdays and the launch of the much sought after 120-hour CDA course in Chinese. We look forward to the next appreciation event in May, which is in the early stages of planning! Further details will be released at a later time. Learn more about CPC's Asian Child Care Resource and Referral Program here.